Illness, ill partner, work. All been a nightmare. So the GNW project has been SLOWWWWW. But after several weeks, the Russian command figures are finally finished. Block painted, army painter dark tone, matt varnish. Done. 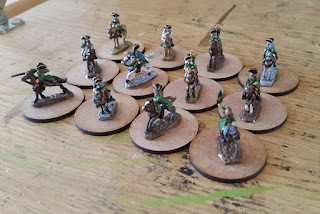 So now onto basing them….and some photos to prove they exist! As you can see they are on progressively smaller round MDF bases (from Pendraken of course). So the army commander is on an 80mm base, the wing commanders on 60mm, the divisional on 40mm and the individual brigade commander figures on 30mm. 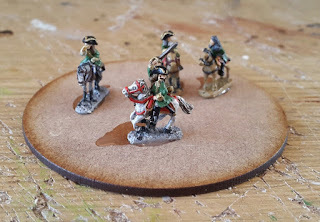 They are on round stands so they stand out from the units (no pun intended). 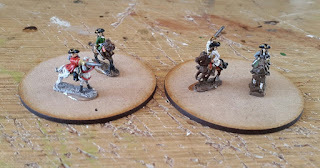 The different sizes make it easier to instantly recognise the level of command they are (as discussed in my last post on representing the layers of command in a real army of the period using Black Powder/P&S). The army commander is Peter the Great, complete with moustache. The two senior commanders represent Menshikov and Sheremetiev. All figures are the Pendraken LoA commanders in Tricorne. 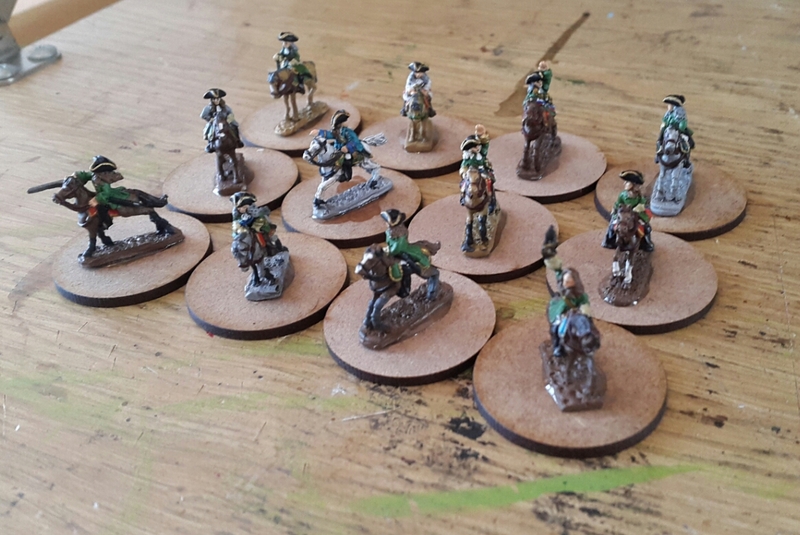 Now onto the Swedish artillery and commanders…..